Germany: More Nazis are elected, making them the 2nd largest political party in Germany. Spain: Day 60 of 985 of the Spanish Civil War. Spain: Day 425 of 985 of the Spanish Civil War. CBI - China: Day 70 of 2,987 of the 2nd Sino-Japanese War. Day 33 of 106 of the 2nd Battle of Shanghai. Day 14 of 70 of the Battle of Taiyuan. Spain: Day 790 of 985 of the Spanish Civil War. CBI - China: Day 435 of 2,987 of the 2nd Sino-Japanese War. Day 96 of 139 of the Battle of Wuhan. Atlantic: Torpedoes fired by U-39 miss HMS ARK ROYAL and three destroyers attack her with depth charges. U-39 becomes the first U-boat to be sunk during the war. 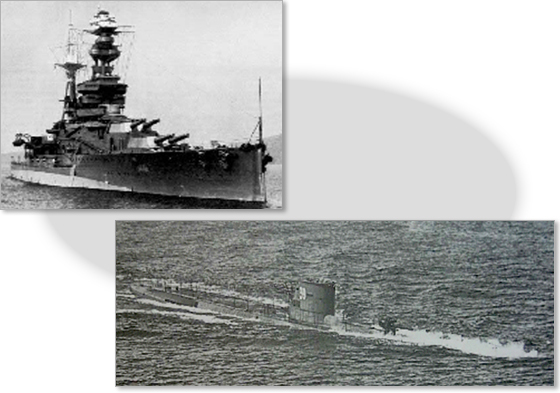 Just 27 days after she began her first patrol, U-39 attempted to sink the British aircraft carrier HMS ARK ROYAL by firing two torpedoes at her. The torpedoes malfunctioned and exploded just short of the carrier. U-39 was immediately hunted down by three British destroyers, disabled with depth charges, and subsequently sunk. All of the crew members survived and were captured. Poland: Day 14 of 36 of Germany's Invasion of Poland. 60,000 Polish troops trapped in the Radom pocket surrender. CBI - China: Day 800 of 2,987 of the 2nd Sino-Japanese War. Day 2 of 26 of the 1st Battle of Changsha. CBI - Mongolia: Day 127 of 129 of the Battle of Khalkhin Gol. ETO - UK: Day 9 of 258 of the Blitz. ETO - UK: Day 67 of 114 of the Battle of Britain. Hitler again postpones Operations Sea Lion until 27 September, the last day of the month with suitable tides. MTO - Egypt: 150,000 strong, Italian 10th Army in Libya invades Egypt (Operation E) going against the British Middle East Command under General Archibald Wavell and his 30,000 troops. East Africa: Day 97 of 537 of Italy's East African campaign in the lands south of Egypt. CBI - China: Day 1,166 of 2,987 of the 2nd Sino-Japanese War. Day 305 of 381 of the Battle of South Guangxi. Day 26 of 42 of the Hundred Regiments Offensive. Atlantic: US Coast Guard Cutter NORTHLAND captures the German-controlled Norwegian sealer BUSKOE in Greenland after finding evidence she has been sending weather reports and information on Allied shipping to Germany. 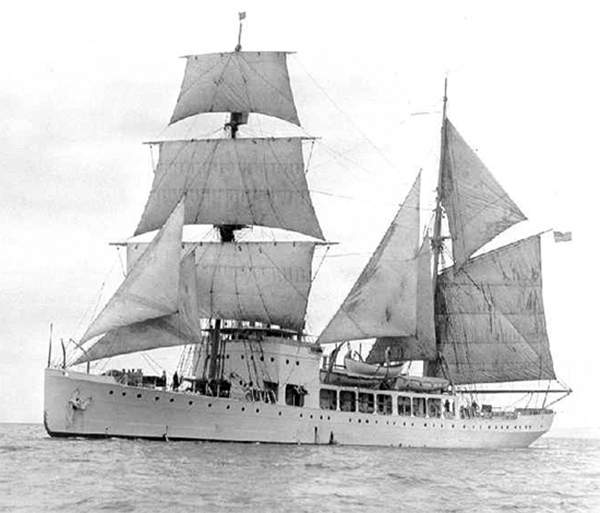 It was the last cruising cutter built for the US Coast Guard equipped with a sailing rig. The CGC Northland became the first US naval vessel to capture an enemy ship in WWII, albeit nearly three months before the US enters the war and Germany becomes an actual enemy. The BUSKOE was sighted two days earlier by the CGC Northland which sent a boarding party to investigate its presence. This US action in the Atlantic came about after an 09 Apr 41 treaty with Denmark's Ambassador to the United States to patrol the Danish possession of Greenland in exchange for being able to build American bases there. Contrary to the situation in other countries under German occupation, when Denmark fell to the Germans on 09 Apr 40, most Danish institutions continued to function relatively normally until 1943. Though many had fled to Iceland, most of the Danish government remained in the country, including the king, in an uneasy relationship between a democratic and a totalitarian system until German authorities dissolved the government following a wave of acts of sabotage and labor strikes. The Nazis had no real objective in occupying Denmark; it merely stood in the way between Germany and Norway. Officially Germany claimed to be protecting both Denmark and Norway from a British invasion. But the self-governing Danish territories of Greenland, Iceland and the Faroe Islands were right along the path of the convoys streaming from North America to Britain. The British occupied the Faroe Islands (between Scotland and Iceland) on 11 Apr 40 to prevent their occupation by German troops. To prevent Germany from occupying Iceland, the British did the same on 09 May 40 as they did with the Faroe Islands. But it was Denmark's Ambassador to the US, Henrik Kauffmann, who took it entirely upon himself to sign a treaty with the US, authorizing America to defend Greenland and construct military stations there. Kauffmann was supported in this decision by the Danish diplomats in the US and local authorities in Greenland. Signing this treaty "in the name of the King" was a clear violation of his diplomatic powers, but Kauffmann reasoned that it would not be possible to receive untainted orders from an occupied Copenhagen. Russian Front - Finland: Day 85 of 164 of the Battle of Hanko. The Soviets will be forced off their leased naval base. Russian Front - Finland: Day 11 of 28 of Finland's reconquest of East Karelia in southern Finland. The Soviets continue withdrawing from Finland back to Leningrad. Russian Front - Finland: Day 78 of 142 of Operation SILVER FOX, a joint German-Finnish campaign to capture the Russian port of Murmansk in the Arctic. The German troops continue withdrawing back into northern Finland. Russian Front - Finland: Day 76 of 140 of Operation ARCTIC FOX, a joint German-Finnish campaign against Soviet Northern Front defenses at Salla, Finland. Russian Front: Day 85 of 167 of Germany's Operation BARBAROSSA, the overall invasion of the USSR. Russian Front - North: Day 7 of 872 of the Siege of Leningrad. Russian Front - South: Day 38 of 70 of the Siege of Odessa, Ukraine. Russian Front - South: Day 23 of 35 of the 1st Battle of Kiev, Ukraine. Germany's Army Group Center completes the encirclement of two Soviet armies at Kiev. MTO - Libya: Day 158 of 256 of the Siege of Tobruk. Rommel launches probing operation with his 21st Panzer Division toward Sidi Barrani, Egypt, believing a British fuel dump was located there. British forces begin to fall back. Middle East: Day 21 of 24 of the Anglo-Soviet invasion of Iran. East Africa: Day 462 of 537 of Italy's East African campaign in the lands south of Egypt. CBI - China: Day 1,531 of 2,987 of the 2nd Sino-Japanese War. Day 9 of 33 of the 2nd Battle of Changsha. Russian Front - North: Day 372 of 872 of the Siege of Leningrad. Russian Front - North: Day 133 of 658 of the Siege of the Kholm Pocket, USSR lays siege to the Kholm Pocket but the Germans hold out for a about a year and a half. Russian Front - Center: Day 47 of 64 of the 1st Battle of Rzhev-Sychevka, Russia. Though it will end in a stalemate, it will keep German troops from going to Stalingrad. Russian Front - South: Day 79 of 150 of Germany's CASE BLUE, the failed offensive to take the Caucasus oil fields. Russian Front - South: Day 23 of 165 of the Battle of Stalingrad, the bloodiest battle in human history. Counter-attacks by the Soviet 62nd Army fails as the German 6th Army renews its attack against the city. MTO - Libya: US B-17s and B-24s attack Tobruk. MTO - Greece: US B-24s bomb at Suda Bay, Crete, setting one vessel afire. East Africa: Day 133 of 186 of the Battle of Madagascar. CBI - China: Day 1,896 of 2,987 of the 2nd Sino-Japanese War. Day 123 of 124 of Japan's Zhejiang-Jiangxi Campaign, launched to punish anyone suspected of aiding the Doolittle raiders in China. Roughly 250,000 Chinese will be killed. PTO - Alaska: Day 100 of 435 of the Battle of Kiska, Aleutian Islands. The US and Canada will defeat the Japanese invaders. PTO - Malaya: Day 208 of 357 of the Battle of Timor Island, a long guerrilla war ending in Japanese victory. PTO - New Guinea: Day 56 of 119 of the Battle of the Kokoda Track. The Australians continue pushing back the Japanese troops. This will become an Allied victory. PTO - Solomon Islands: Day 39 of 187 of the Battle of Guadalcanal. PTO - Solomon Islands: Day 3 of 3 of the Battle of Bloody Ridge on Guadalcanal. The battle ends with a US victory. ETO: US 8th Air Force: B-26s hit targets in France and the Netherlands. Russian Front - North: Day 737 of 872 of the Siege of Leningrad. Russian Front - North: Day 498 of 658 of the Siege of the Kholm Pocket, USSR lays siege to the Kholm Pocket but the Germans hold out for a about a year and a half. Russian Front - Center: Day 39 of 57 of the 2nd Battle of Smolensk, Russia. Becomes a Soviet victory as the Axis are pushed completely away from the Moscow region. Russian Front - Center: Day 29 of 48 of the Battle of Bryansk, Russia. German troops begin to evacuate Bryansk, some 200 miles southwest of Moscow. Russian Front - South: Day 22 of 122 of the Battle of the Lower Dnieper River, USSR. MTO - Italy: Heavy fighting between the Germans and US continues at Salerno. More US paratroopers are dropped behind German lines. The US 9th and 12th Air Forces provide the air cover. MTO: Britain's Special Boat Squadron occupies Kos in the Aegean Sea. MTO: French commandos land in Corsica to help local patriots fight the Germans. CBI - China: Day 2,261 of 2,987 of the 2nd Sino-Japanese War. PTO - New Guinea: Day 146 of 148 of the 2nd Battle of Lae-Salamaua. Will become an Allied victory. PTO - Solomon Islands: Day 31 of 56 of the Battle of Vella Lavella. The Allies will win this one. ETO - France: Day 45 of 284 of the Battle of Brittany. The US 9th Army engages in heavy fighting as the German garrison keeps up its resistance at Brest, on the Brittany peninsula. ETO - France: Day 31 of 32 of Operation DRAGOON, the Allied invasion of southern France. The French battle fleet enters Toulon. ETO - Belgium: Day 13 of 62 of the liberation of Belgium. ETO: US 8th Air Force: Two B-17 CASTOR drones control two B-17 APHRODITE planes to the oil refinery at Hemmingstedt, Germany. They miss. Russian Front - North: Day 1 of 41 of the Battle of Riga, Latvia. Three Soviet Baltic Armies launch a massive offensive against German Army Group North who are forced to fall back to defensive positions around Riga. Russian Front - Center: Day 1 of 72 of the Battle into East Prussia and northern Poland. Russian troops reach the Vistula River in the Praga suburb of Warsaw. Allied planes will drop supplies to the Polish Home Army who are trapped inside the city. Russian Front - South: Day 1 of 72 of the Battle of Belgrade, Yugoslavia. MTO - Italy: US 12th Air Force medium bombers attack the Gothic Line while fighters strike in the Po Valley. CBI - Burma: Day 167 of 302 of the Chinese Salween Offensive in Burma. CBI - China: Day 2,627 of 2,987 of the 2nd Sino-Japanese War. Day 151 of 259 of Japan's Operation ICHI-GO. PTO - New Guinea: Day 275 of 597 of the Battle of New Britain. PTO - New Guinea: Day 146 of 481 of the Battle of Western New Guinea. When given a choice, people will choose bread and sausage above the free market and individual liberties. The promise of bread gets votes, even if the bread is at the expense of freedom.